Reflecting the classical style of Sir Winston Churchill’s English estate, Kingston Plantation’s distinctive British ambiance makes this gated resort a favorite spot for group vacations, business conventions, symposiums, and seminars. Despite the English countryside theme and the beautiful black swans in residence, Kingston Plantation is 145 acres of verdant tropical foliage with a low country feel that delights and refreshes the spirit. 20 acres of ponds and lakes spread across the resort offer serene water views from many of the villas. 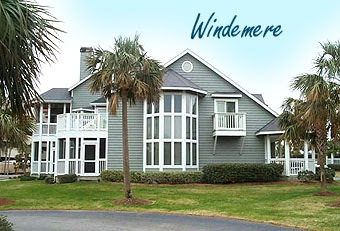 Windemere By the Sea at Kingston – Spacious 2-4-bedroom condominiums near the Embassy Suites, offering jacuzzi tubs; on a lake and community pool. Windsor Court Villas - Private residential 2-bedroom / 2 bath condos with single level or townhouse floor plans. Big screened porches and jacuzzi tubs. Gloucester Terrace Condos - 2 or 3-bedroom units, sunroom, patio, and cathedral ceilings. Close to the Embassy Suites Hotel and a community pool. St James Park Villas - Heavily wooded 1, 2 and 3-bedroom condos bordered 2 lakes. Outdoor storage and carports make them favorites with many buyers. West Hyde Park - A scenic "park" locale featuring beautiful live oak and flowering trees. The Hyde Park Villas offer wood-burning fireplaces. 1, 2, and 3-bedroom units. 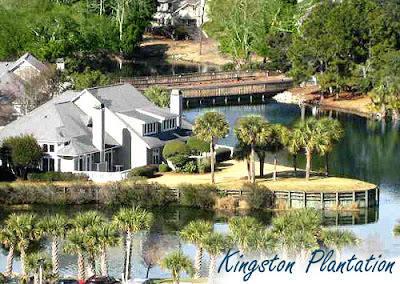 Richmond Park Villas- Near the Hilton, and bordering Arrowhead Lake, with a community pool. Canterbury Court Villas- Elegant with garages, screen porches, jacuzzi tubs. 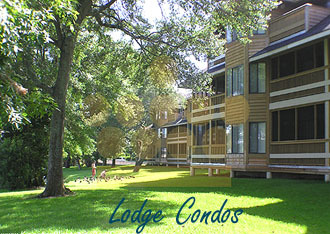 Arrowhead Court and Laurel Court Lodge - These beautiful and wooded buildings are located overlooking Lake Arrowhead. They are close to all the amenities and convention center. These are especially attractive for conferences and large group meetings. Margate Tower – Stunning 29 story high-rise. These large condos are primary homes for many owners. The average size is 2400 square feet and the units offer every luxury you can imagine. 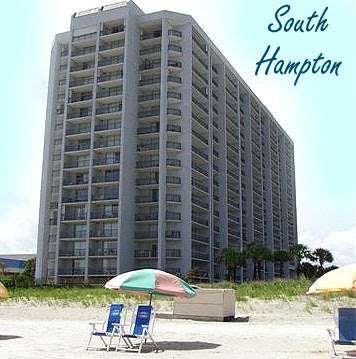 North Hampton and South Hampton - Side-by-side oceanfront towers with spacious balconies. The North Hampton also has an indoor pool, private parking deck, and added security intercoms. 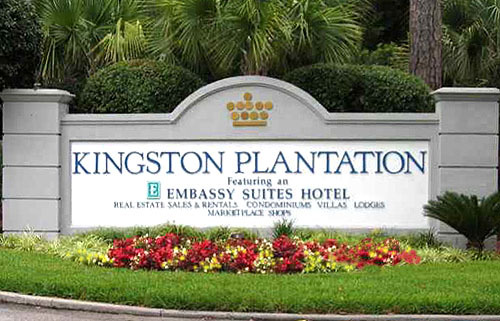 The Kingston Royale Palms Resort is located right outside the resort in the new Kingston Shores. Amenities include a lazy river, sandy bottom kiddie pool, and 2 other pools. Private cabanas can be rented. If you would like to know more about this incredible residential and vacation resort, please visit our website. Call our real estate professionals with any questions you have and be sure to schedule a private tour of the Kingston Plantation Condos for sale.